Revenge. They say it’s a dish best served cold. With a side of calculation and dedication; although perhaps followed by a dessert of guilt and remorse. We’ve all felt it at some point. When someone takes your last slice of Papa John’s pizza from the refrigerator you just want to hunt them down and beat them remorselessly until they’re crying for you to stop… but we don’t necessarily act on these urges; though I will get some revenge for that stolen last slice of heaven. Offender deals with these issues… well, not the stolen pizza premise, although I’ll start writing a screenplay for that hit. It does however serve up a very modern British take on the tale. And by “British”, I really do mean British. If you’re not a native of the UK, then I’ll issue you a warning: some of the dialogue will be confusing unless you take a sub-30 year old native in with you to act as a translator, or a fan of the UK hip-hop and grime music scene (a gritty UK version of glitzy US rap: see YouTube video above). Although not as “London speak”-heavy as other recent Brit-flicks such as Attack The Block or the terrible Anuvahood, it’s still smattered with the language. If you’re clueless about what I’m rambling about – and believe me, it’s not jolly “cockney rhyming slang” – read this guide, it might clue you in. 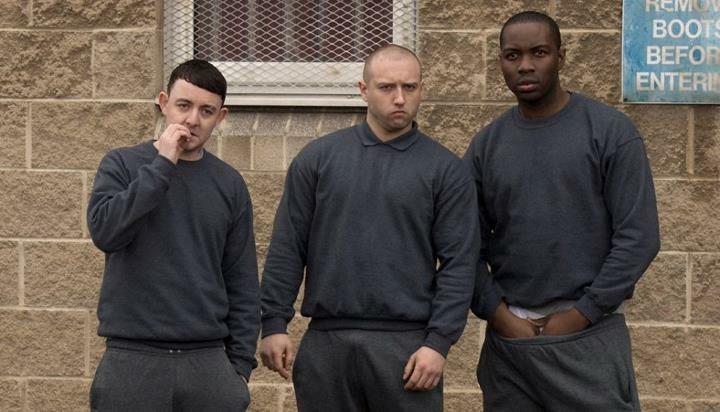 Offender, set to the backdrop of last year’s London Riots, tells the tale of how Tommy (Joe Cole) goes about exacting his revenge on a group of ne’er-do-wells who’ve turned the life of him and his girlfriend (Kimberley Nixon) upside-down. Needless to say, they’ve done a lot more than take a slice or pizza, or even an entire pizza. In order to get his revenge for the harrowing experience he’s had to endure, he gets himself incarcerated into a juvenile detention centre. If this sounds a bit familiar, then maybe you’re thinking of the initial premise of Prison Break? There are similarities to be had, but here the aim isn’t escape and exoneration for false imprisonment, but purely to inflict pain. It’s more of a hybrid of Scum and Law Abiding Citizen. Joe Cole: One to watch. Two of the biggest assets of the film are with the leads: Joe Cole and Kimberley Nixon. I know both from UK television series for very opposing roles. Cole appeared in the UK’s Skins series as a thoroughly detestable yet charismatic character who was driven by violence – a true bad boy. Whilst I know of Nixon through her role in comedy series Fresh Meat, where she plays quite a naive and confused student. Whilst Cole‘s role in Offender is in the same ballpark as his Skins‘ character, they’re markedly different in the fact that here he’s a good guy trying to be honourable. Nixon meanwhile is a revelation: truly showing a broad canvas of emotion over the film’s running time. I’m very pleasantly surprised. Returning to Joe Cole, I just hope he’s supplied with more films in the future, and doesn’t descend into playing the same character time and time again, like fellow Skins‘ alumnus Jack O’Connell (Eden Lake, Harry Brown) – who I also think is fantastic, but has played a lot of similar roles; though thankfully his future work looks more varied. I’m hopeful that Cole can follow in the footsteps of previous Skins’ stars, such as O’Connell, Nicholas Hoult (X-Men: First Class) and Dev Patel (Slumdog Millionaire). Although the film is lucky to have two stellar lead players, the same cannot be said for all of the cast or the script they have to work with. 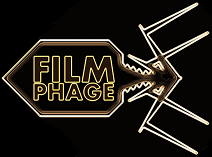 The film tries to fire off too many sub-plots as it carries on in order to fill out back story to some of the supporting characters, but some of these go no-where and are not resolved. One of the prison officers (referred to as “Screws” in the credits list…) gets a bit of a fleshing out at one point, which raised my interest as he was playing up to the dime-a-dozen “corrupt officer” role, but this was quickly dashed and he returns to the one dimensional character that was first established. A shame. This is just one of a few examples of plots that were beginning to sprout and then abandoned or never given a satisfying pay off. Juvenile Detention Centres: Not known for their morale-boosting wardrobe. The majority of the young actors used in the film are actually ex-offenders themselves – perhaps to add authenticity to the film. With this being the case, I can’t fault their performances. These are guys that haven’t had money thrown at them for acting school, and for the most part you wouldn’t be able to tell the difference between the trained and untrained actors. They all far outpace their more senior thespians in the film, who don’t fare quite as well. However, the major flaws lie with that plot. You can see any “twists” coming from too far away as the film tries to conform to the archetypal “thriller” routing. I’d also like to have seen more dialogue, as opposed to brooding shots of people walking around in slow motion, but I’m sure this will come with experience for director Ron Scalpello. Not bad for a first movie, but he’s not going to light the world up just yet. Joe Cole on the other hand? Well, I’ve high hopes for him. All in all, Offender is a solid British revenge film, but lacks any real innovation and can’t compete with similar films out of the US. Sure, it spins it with the modern inner-city London language and sets it to the very real backdrop of the 2011 riots, but this is like putting a fresh coat of paint on a tired out car. It looks new, but under the bonnet it’s still the same old engine. And it’s also a car that only domestic audiences will want. Just like Attack The Block, I’d be surprised if this film made a dent anywhere but the UK. US “gang” films can easily translate over to UK audiences, but the reverse won’t be true any time soon. Or if you’d rather I summarised in the right vernacular: “Blud, this film has bare tings goin’ for it, ‘specially that Joe Cole, is it? But dat plot? Allow it.” Translation: “This film has a lot of good things going for it; most notably Joe Cole. But the plot? Don’t expect too much.” I don’t think this is going to be pinned up as a reason to visit London any time soon either… Now gimme dat pizza back ‘fore I murk you bruv, y’ear? 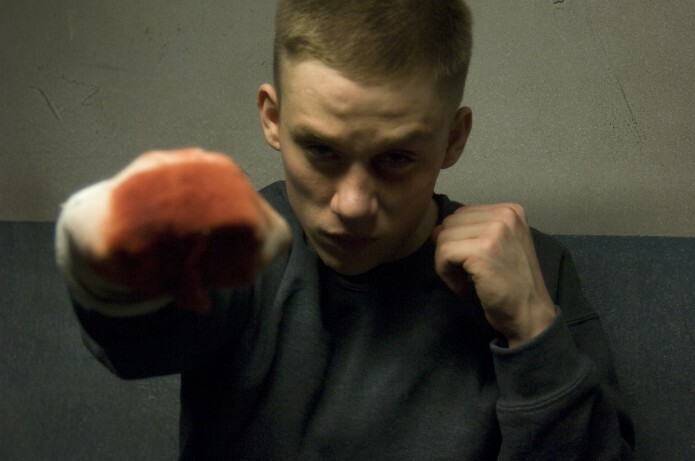 This entry was posted in Review and tagged Attack The Block, English Frank, Joe Cole, Juvenile, Kimberley Nixon, Law Abiding Citizen, London, Prison, Scum, Skins. Bookmark the permalink.